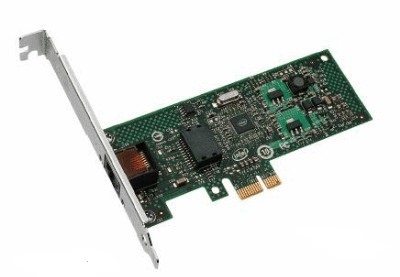 There are 2 NIC adapters – Intel(R) 82547L. 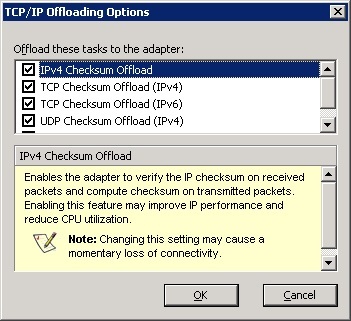 The first physical NIC is for the management [RDP, file copy, Hyper-V Manager] and the second one is for VMs. 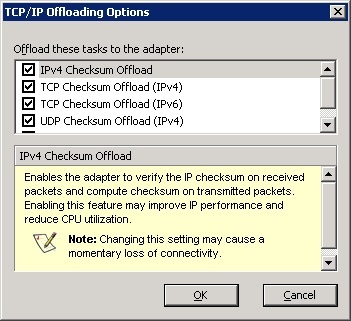 Here is the configuration for the physical NIC. 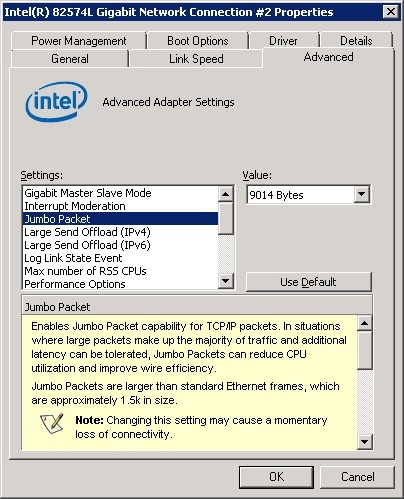 Jambo Packet enables capability for TCP/IP packets. Good for situations where large packets make up the majority of traffic. Causes additional latency. Jumbo Packets can reduce CPU utilization and improve wire efficiency. Jumbo Packets are larger than standard Ethernet frames, which are approximately 1.5k in size. 1 queue is used when low CPU utilization is required. 2 queues is used when good throughput and low CPU utilization are required. 4 or more queues are used for applications that demand high transaction rates such as web server based applications. With this setting, the CPU utilization may be higher. 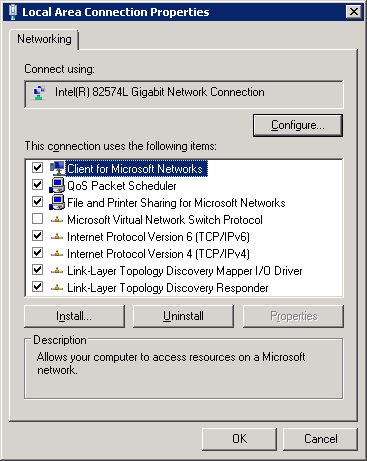 Allows the user to set the preferred starting RSS processor. Change this setting if the current processor is dedicated to other processes. The setting range is from 0 to the number of logical CPUs – 1. In Server 2008 R2, RSS will only use CPUs in group 0 (CPUs 0 through 63). The second NIC is for VMs. The settings are almost the same. Posted by danisapfirov on 28/10/2010 in Hyper-V, Windows OS.